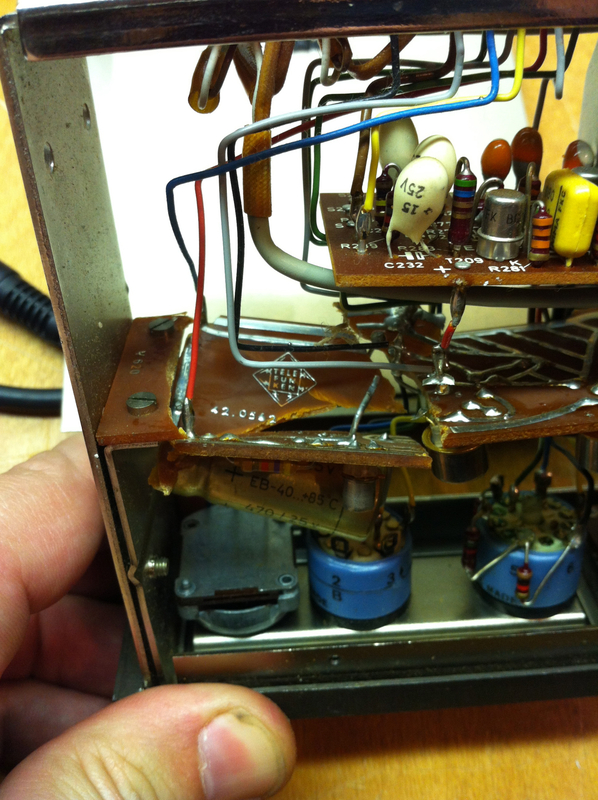 Bad packing, or should I say NO packing, is to blame for the damage this preamp suffered. It was shipped to me in a small flat rate Priority Mail box with nothing to protect it. As you can see, the frame was bent and one of the circuit boards was broken into six pieces! The frame was easy enough to bend back, but the PCB was like a little jigsaw puzzle that required epoxy and jumper wires to make it structurally and electrically sound again. While I had it open, I replaced the electrolytic caps and added XLR ins and outs as well as a power jack with regulation. 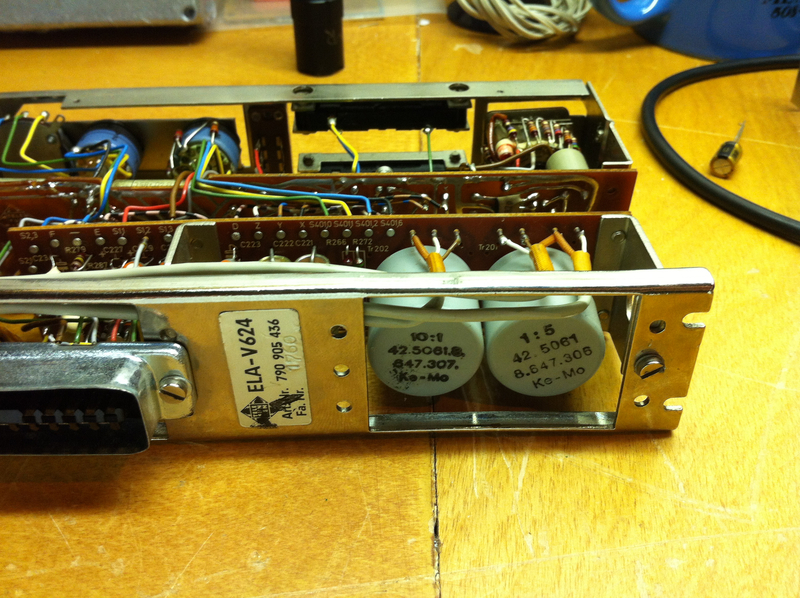 The ELA V624 is a nice little module from later Telefunken mixers. It has a mic pre with 60dB of gain, high and low EQ (I believe at 60Hz and 10kHz), and a line input as well. 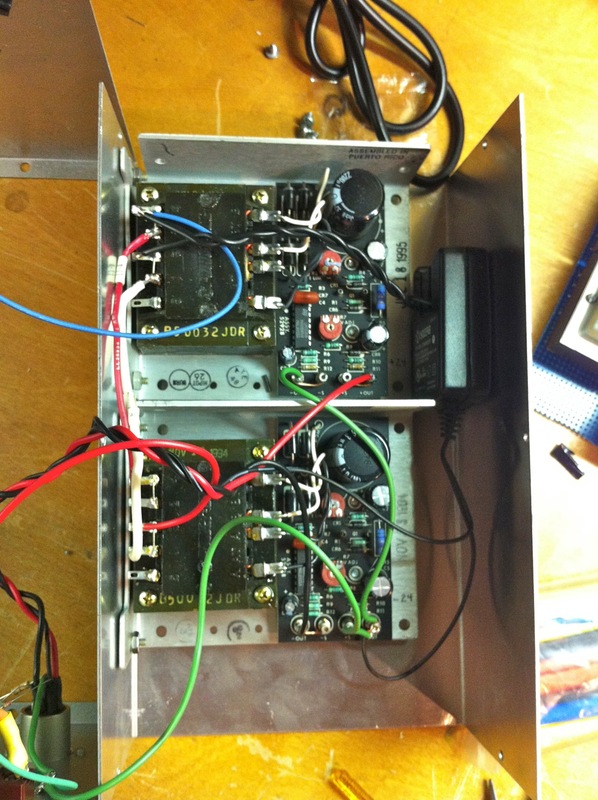 Both the mic and line have transformer balanced inputs and I wired the unit with an impedance balanced output. 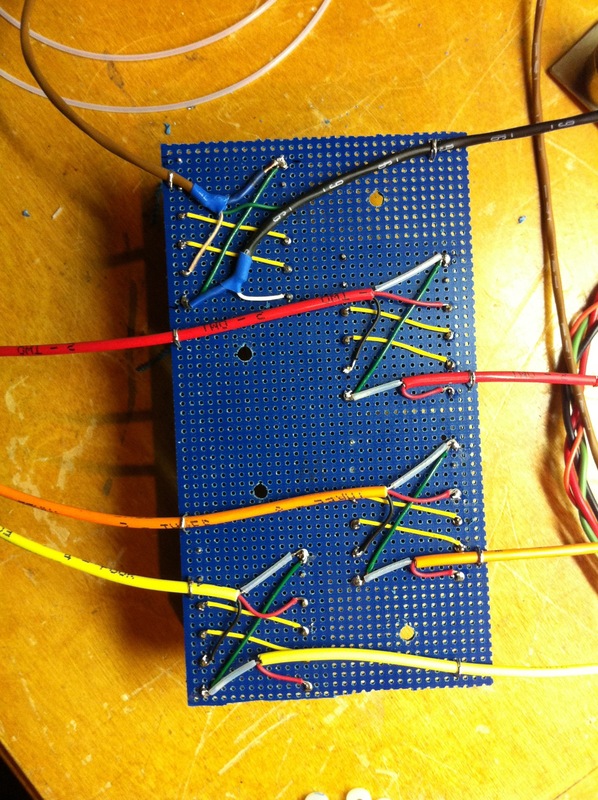 The circuit is fully discrete transistor and runs on +24v DC. They are not as huge sounding as the earlier discrete modules (V672 Pre, W695 EQ, etc.) but very useable on a variety of sources. Certainly worth the time spent repairing such unnecessary damage! This is a rack full of vintage Sphere equalizers. My client made the wooden case from zebra wood and walnut. 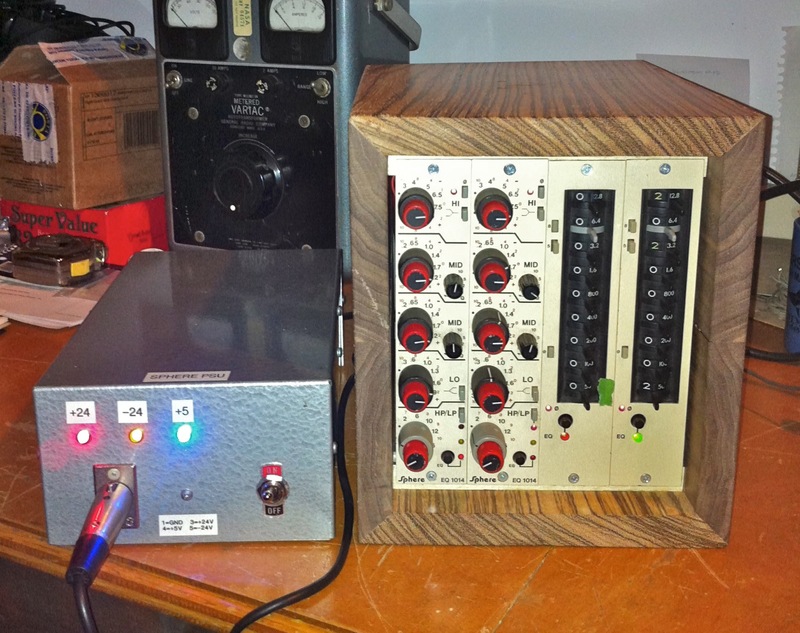 I wired and mounted the EQs and transformers and built the power supply. The 1014s are IC based parametric EQs with high and low cut filters. 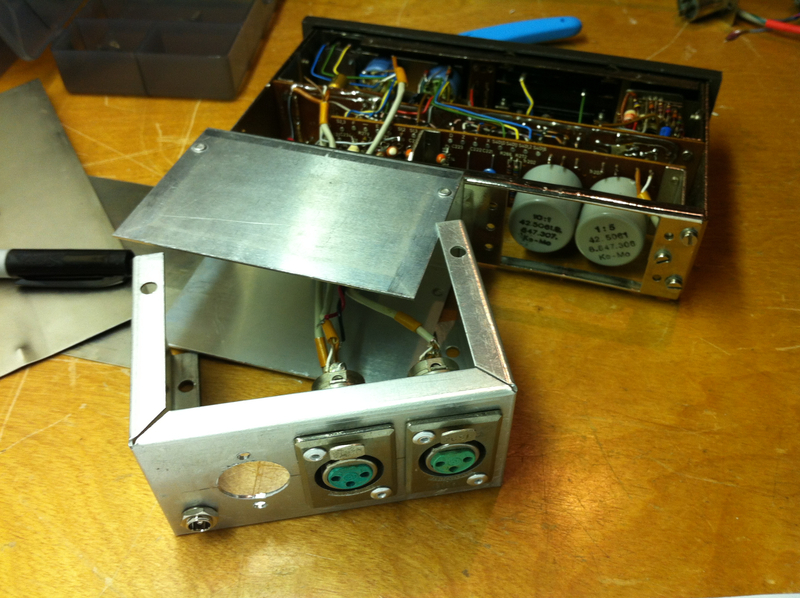 The 910s are fully discrete graphic EQs with inductors for each band. 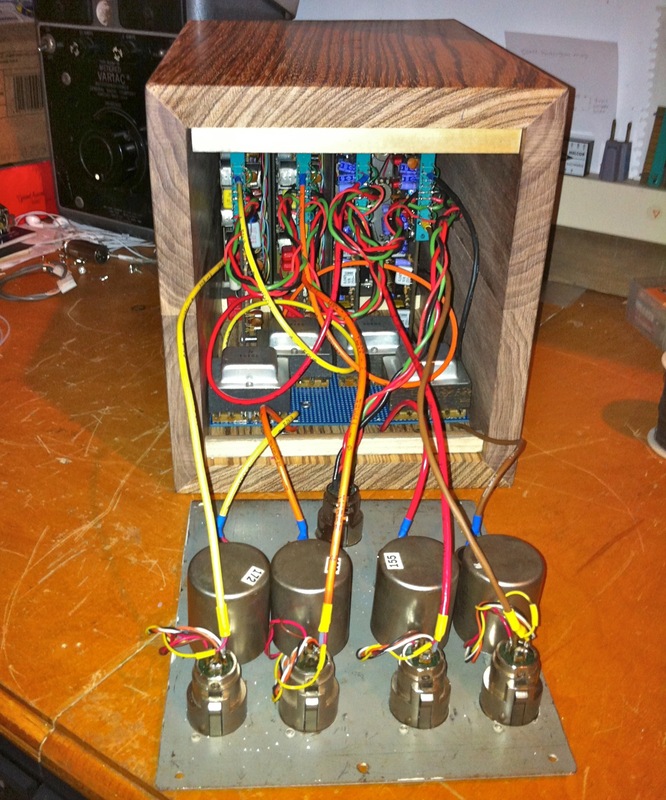 We used transformers from Orphan Audio – Quad Eight inputs and Reichenbach outputs. Unfortunately the Reichenbachs were PC mount so I had to attach them to some perfboard. 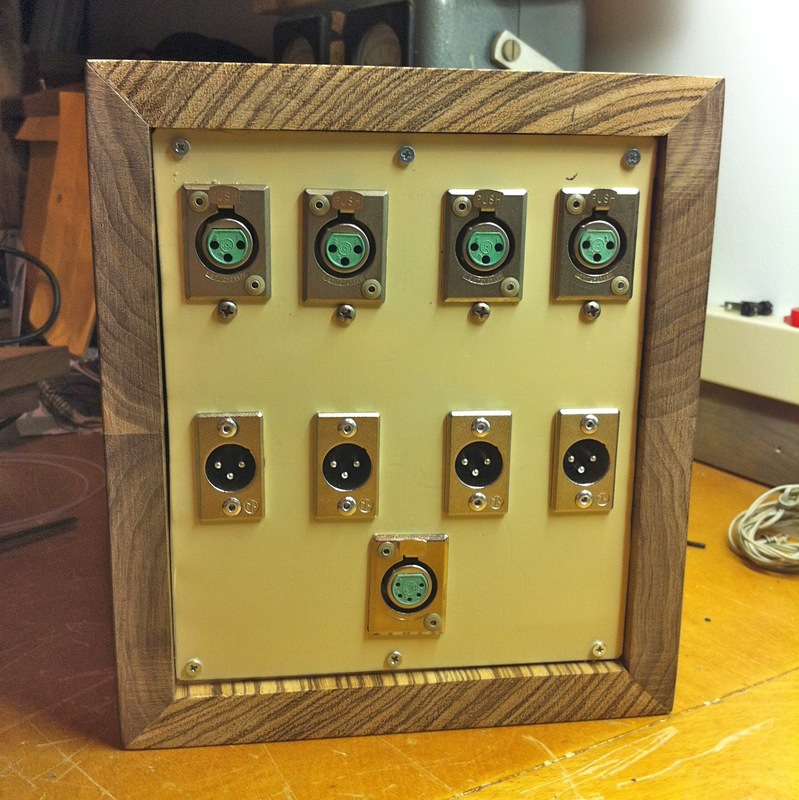 The Quad Eights mounted right below the input jacks on the back panel. 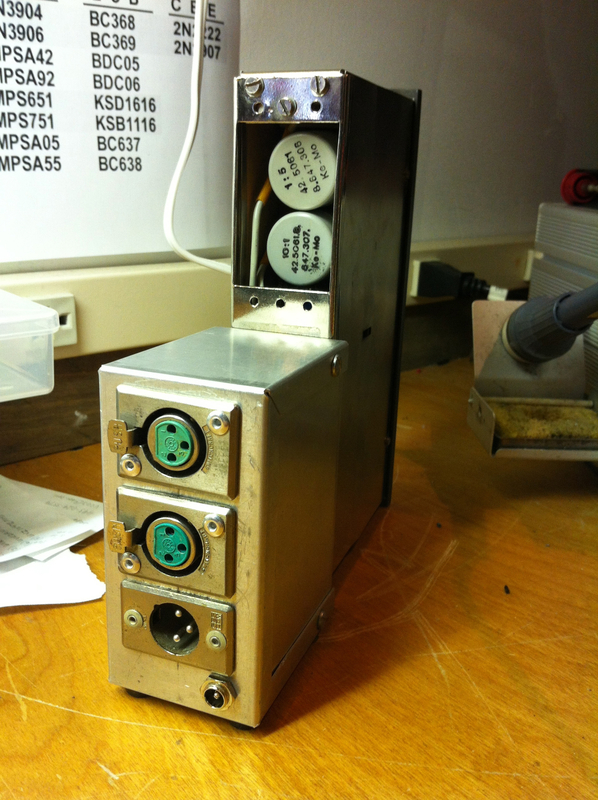 Power requirements were +/- 24VDC for audio and +5VDC for logic. It was a lot of wiring to fit in the box, leaving length for servicing. They are pretty fantastic EQs, especially the graphics! 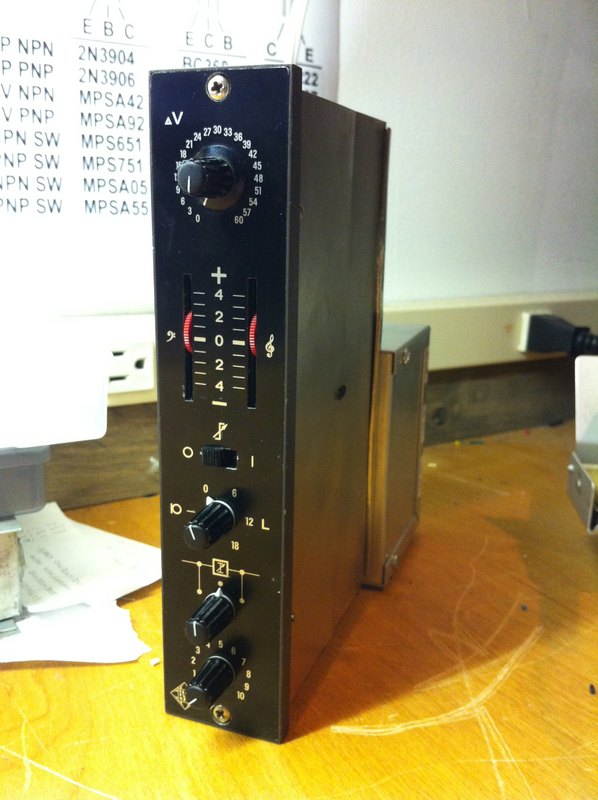 This is a vintage Allison Labs passive filter / equalizer with custom mods. It has UTC input and output transformers and XLR connectors added as well. 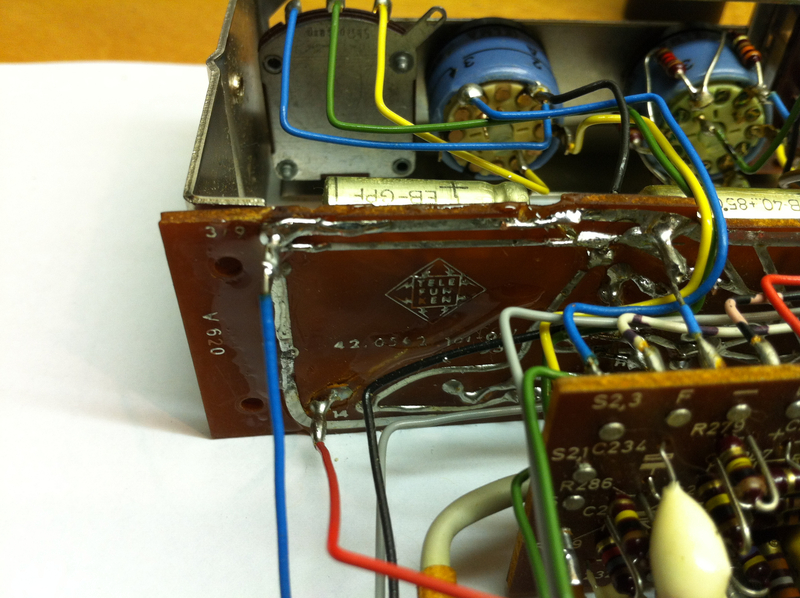 This is a set of vintage Universal Audio (UA / Urei) 1108 discrete transistor microphone preamplifiers with matching 508 passive equalizers. The preamps are transformer in and out and sound amazing. 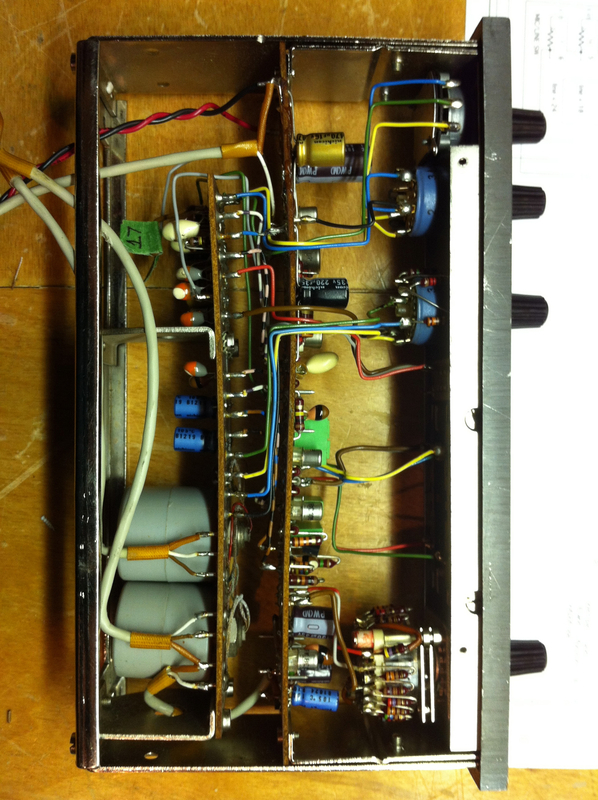 The EQs use passive capacitors and inductors for simple but smooth EQ. 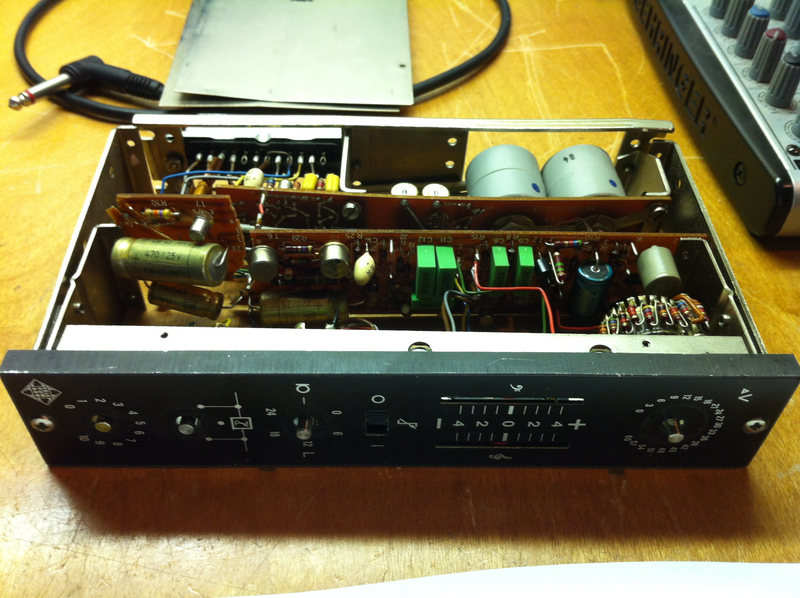 Restored and racked with phantom power and gain pots. 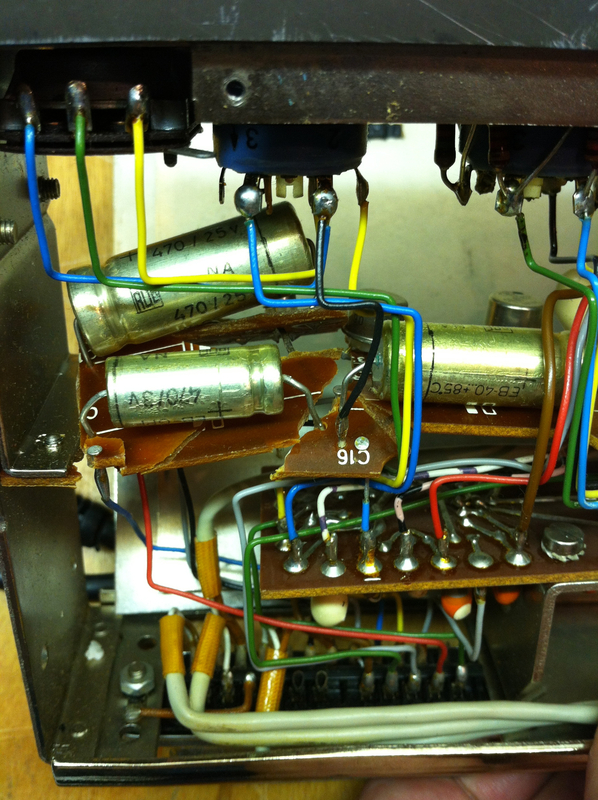 Yamaha PM1000 discrete transistor console strips cut down, recapped, modded, and racked as mic pres with EQ. 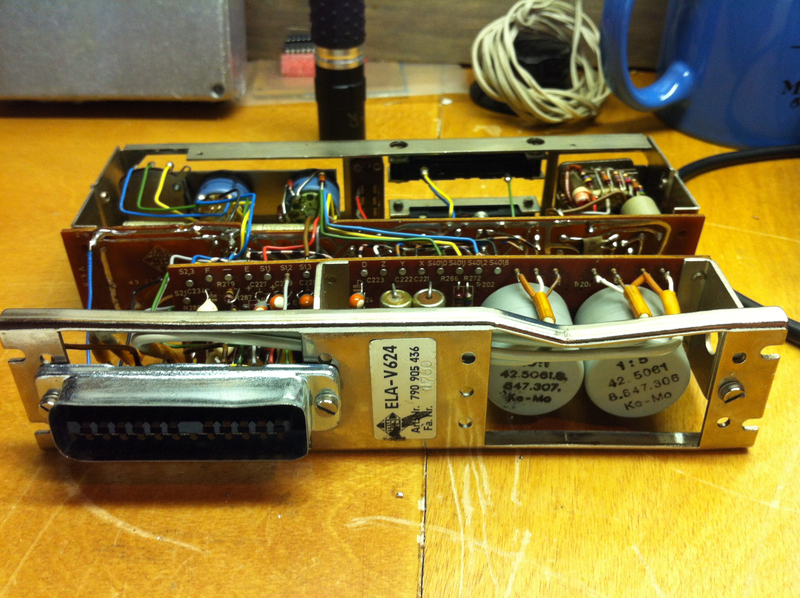 Single Telefunken W95C discrete equalizer module. Racked with power supply and XLR in/out. Neve 5442 8×2 Mixing Board. Built custom power supply and replaced failed tantalum caps.